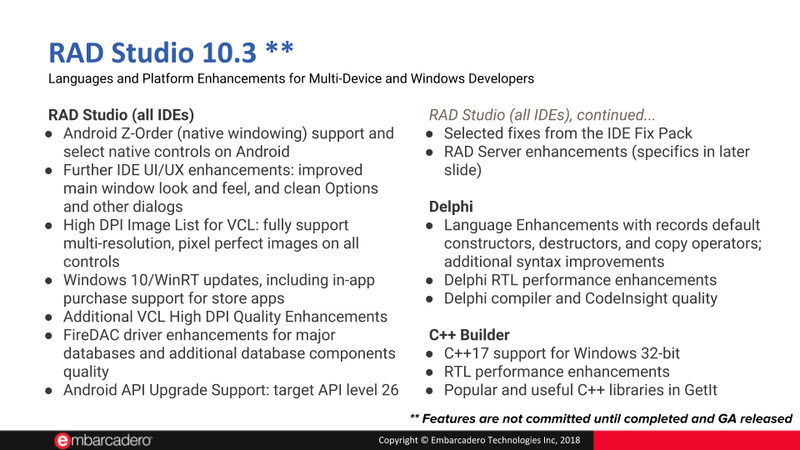 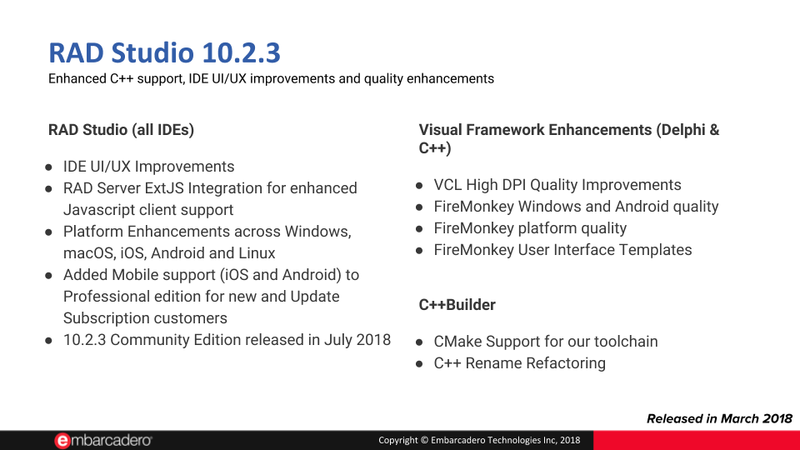 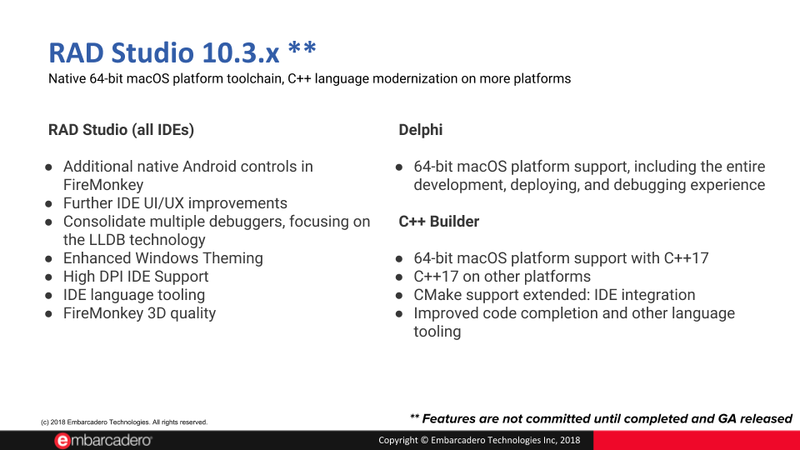 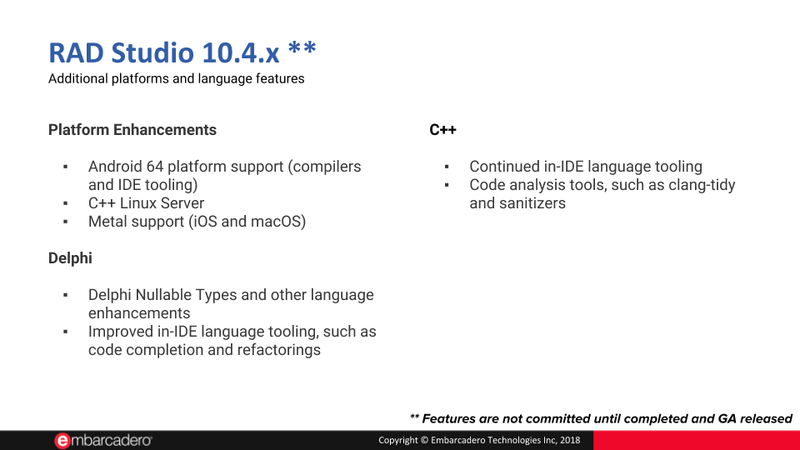 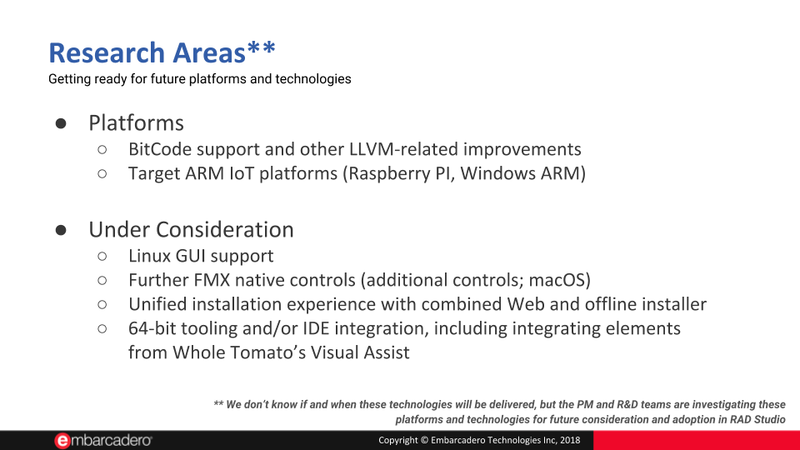 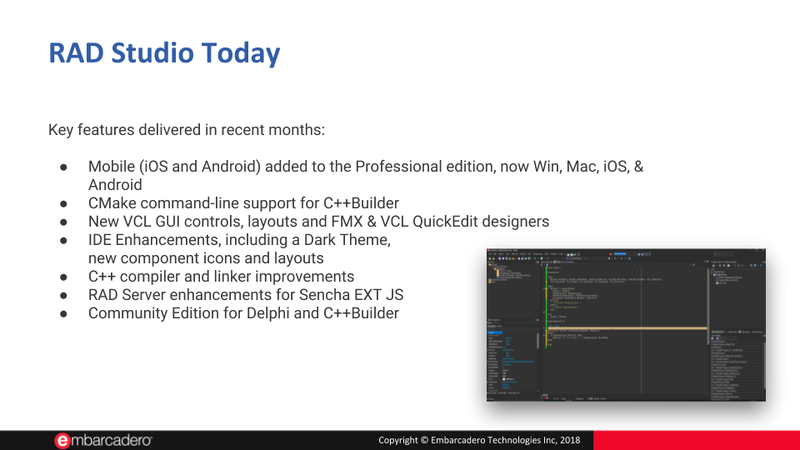 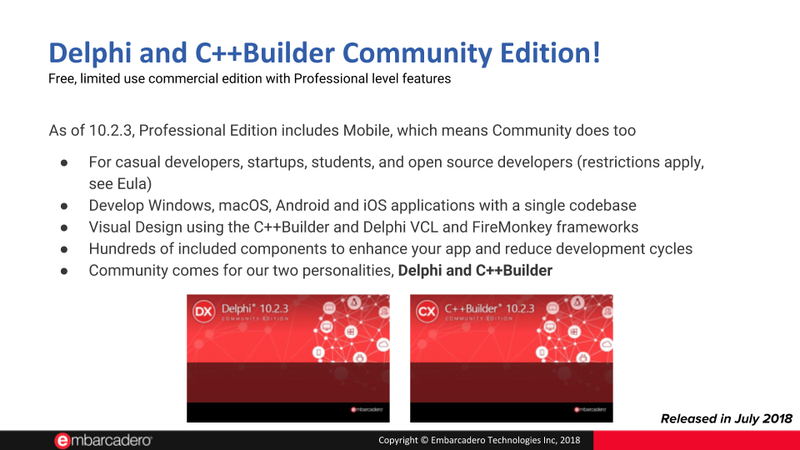 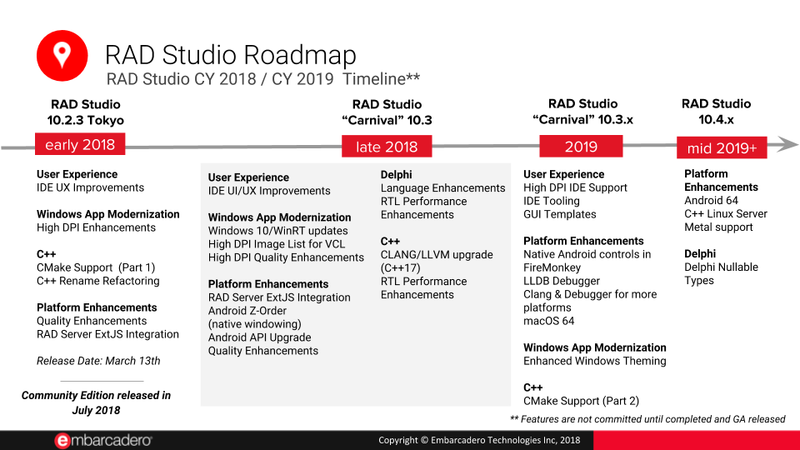 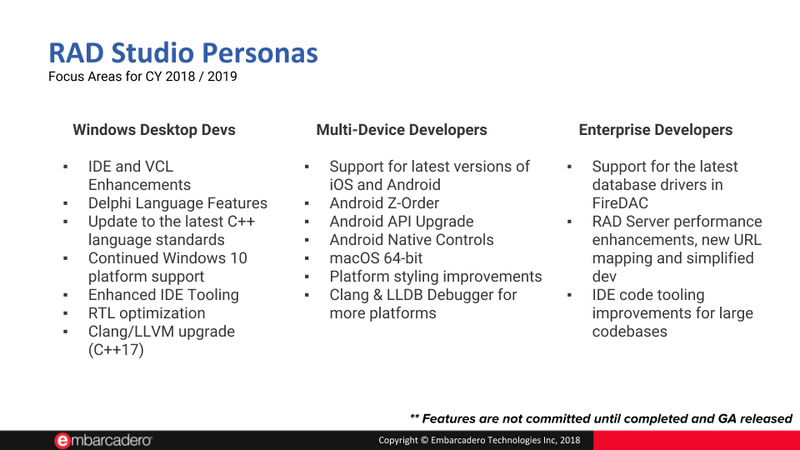 With this article the RAD Studio PM team is introducing an updated roadmap for Delphi, C++Builder and RAD Studio. 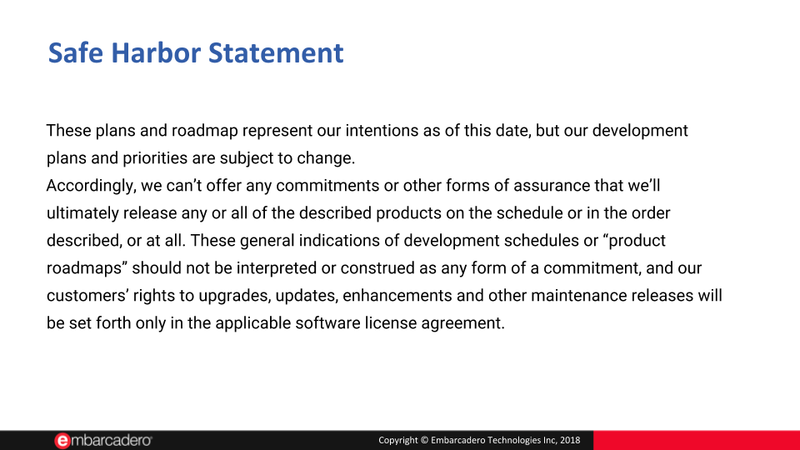 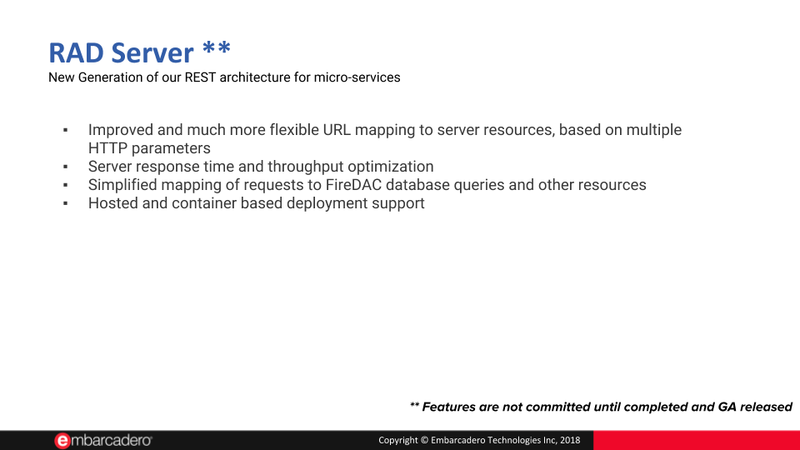 This August 2018 roadmap includes plans for the second part of this year and the key focus areas for next year. 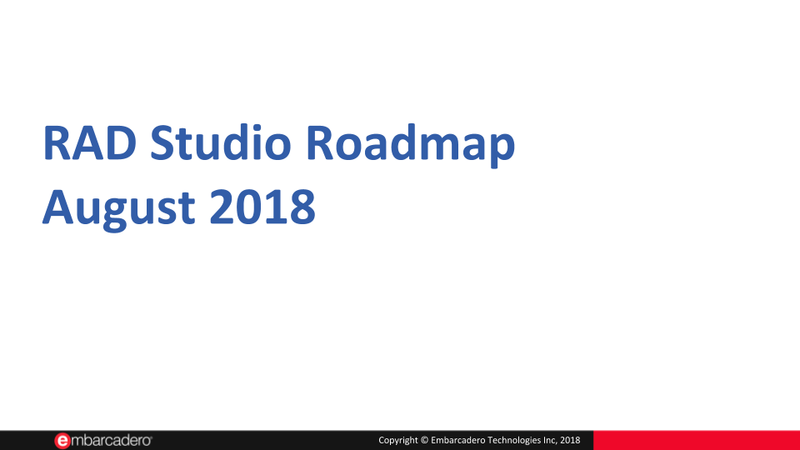 Alongside, we have also published an August 2018 Roadmap PM Commentary blog post, with more details and information.